Improbable As It May Seem, The Impossible Man Is Back In Town. Appearance of The Impossible Man, Roy Thomas, Stan Lee, Jack Kirby. Versus Trapster. Versus Wizard. Versus Sandman. Look Out for the Frightful Four. Origin of Texas Twister. 1st Appearance of Texas Twister, Captain Ultra. Appearance of Tigra, Impossible Man. Versus Trapster. Versus Brute. Versus Wizard. Versus Sandman. Call My Killer the Brute. Appearance of The Impossible Man, Brute. Versus Trapster. Versus Brute. Versus Wizard. Versus Sandman. A Robinson Crusoe in the Negative Zone. 1st Appearance of Metalloid. Appearance of Tigra, Thundra, Reed Richards of Counter-Earth, Impossible Man, Annihilus, Mad Thinker. Versus Annihilus. Versus Mad Thinker. Bedlam in the Baxter Building. Side by Side With �Annihilus? Appearance of Reed Richards of Counter-Earth, Annihilus. Versus Reed Richards of Counter-Earth. Versus Annihilus. Versus Mad Thinker. Enter: The Mad Thinker. Versus Reed Richards of Counter-Earth. Versus Annihilus. Versus Mad Thinker. Battleground: The Baxter Building! Appearance of Tigra, Thundra, Impossible Man, Brute, Annihilus, Mad Thinker. Versus Brute. Versus Annihilus. Versus Mad Thinker. Aftermath: The Eliminator. Apppearance of Tigra, Thundra, Impossible Man. Here There Be Witches. 1st Appearance of Nicholas Scratch. 2nd Appearance of New Salem's Witches. Appearance of Impossible Man. Trouble Times Two. Appearance of Molecule Man, Klaw, Impossible Man. Versus Molecule Man. Versus Klaw. The Rampage of Reed Richards. 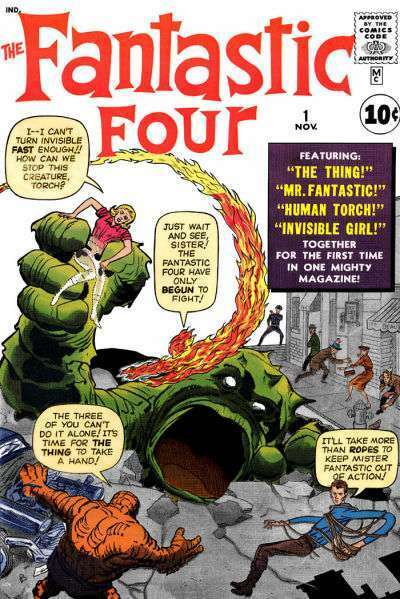 Appearance of The Watcher, Molecule Man, Impossible Man. Versus Molecule Man. Versus Klaw. Four No More. Appearance of Plunderer, Thundra. Versus Plunderer. He Who Soweth the Wind. Apppearance of Texas Twister. Day Of The Death-Demon. Origin of Darketh the Death-Demon. 1st Appearance of Victor Von Doom II (not face). Appearance of Diablo, Impossible Man. Versus Diablo. Vengeance is Mine. Appearance of Darketh, Diablo, Impossible Man, Sub-Mariner. Versus Diablo. Beware the Ravaging Retrievers. 2nd Appearance of Victor Von Doom II (not face). Appearance of Lord VashtI, Impossible Man, Sub-Mariner. Who in the World Is the Invincible Man? Appearance of Victor Von Doom II, Doctor Doom. The Riotous Return of the Red Ghost. Reed Richards gets powers back. Appearance of Red Ghost, Victor Von Doom II, Dr. Doom, Nick Fury. Versus Red Ghost. Versus Doctor Doom. Invasion! Team gets together to fight Doctor Doom. Appearance of Prince Zorba, Victor Von Doom II, Doctor Doom. Versus Doctor Doom.